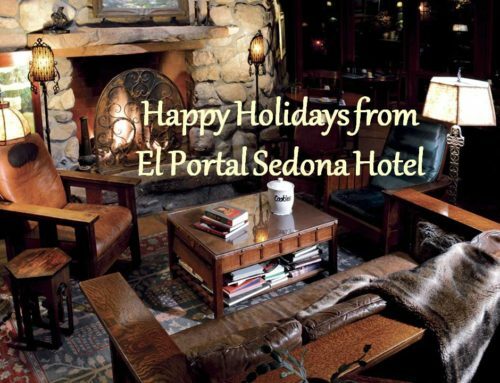 El Portal Sedona Hotel’s breakfasts are fresh, made to order culinary delights! 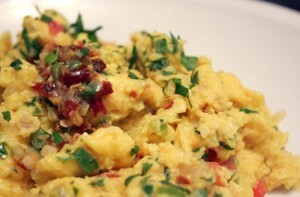 We serve dishes from omelets to pancakes to à la carte menu items. Our Lemon Buttermilk Pancakes are light and fluffy and served with your choice of fresh peaches or bananas, both with sweetened whipped cream, or topped with real maple syrup and creamy butter. The El Portal omelet is a masterpiece – three eggs blended with fresh herbs, tomato and apple wood smoked bacon, filled with double cream French brie and raspberry chipotle sauce, with oven roasted new potatoes and choice of toast – to dine for!!! Our Sedona Scramble is three eggs gently scrambled with scallions, cheddar jack cheese, roasted peppers, and fresh tomatoes, served with soft flour tortillas, home made salsa, sour cream, oven roasted new potatoes. There’s more on the menu too – hand blended sausage patties, fresh eggs prepared to order, freshly baked muffins, and fresh juices to name just a few. So for a delicious breakfast, a good cup of coffee, and the best service, El Portal is the place to be. 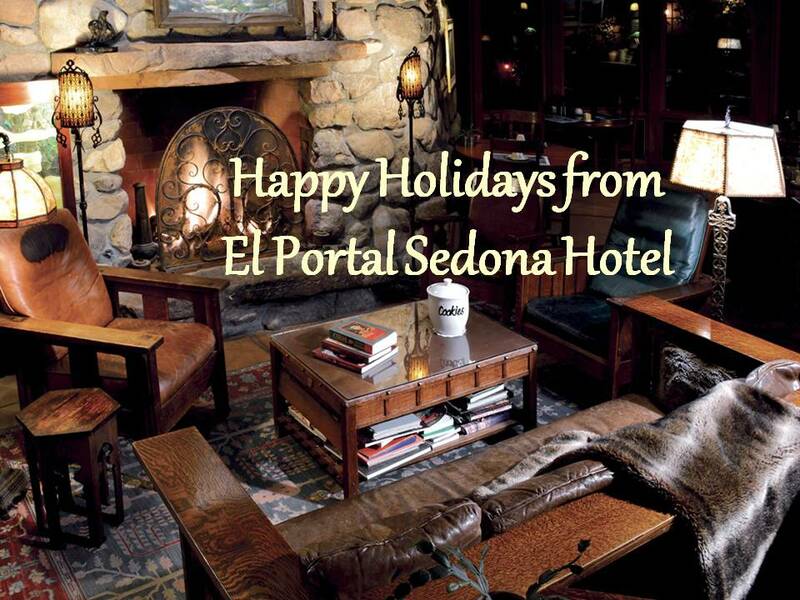 Drop by or call 1-800-313-0017 for reservations. 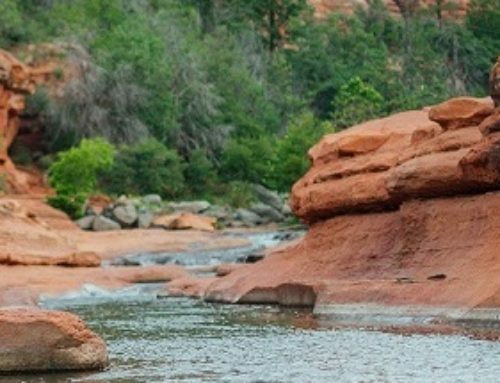 Better yet spend a night or three with us, relax, hike, have fun! 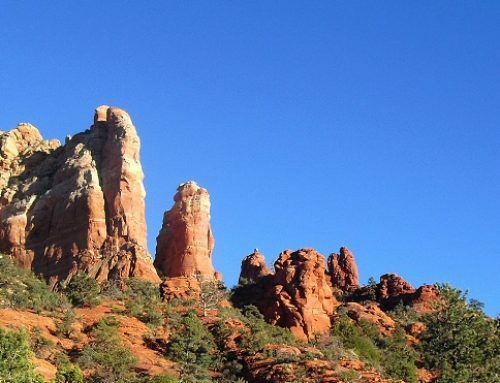 We here to make sure you have a great Sedona Arizona vacation! 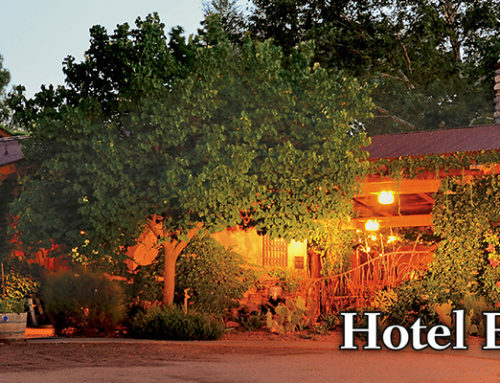 We are your pet friendly bed and breakfast in Sedona!